Attorney Keith Grossman Presented "How to Build Your Peace Chest"
2013 - Attorney and Mediator Keith Grossman,founder and managing partner of Grossman Law & Conflict Management, gave a unique and informative breakfast presentation on ways to improve conflict management and negotiation skills by building your peace chest on August 23 at the Larson Education Center located at 1400 Colonial Blvd., Suite 44 (Broadway Palm Square) in Fort Myers. for emergencies, unexpected events, or conflict (i.e. lawsuits),” stated Keith Grossman. effectively could result in a constructive outcome for all involved. “I wanted to have an open dialogue about saving your money, and improving your skills and resources to prepare for peace. Do you have a “peace chest” to handle conflict? Every interaction invites some type of reaction and discourages other types. Developing a peace chest is a decision to focus on teamwork, problem solving, and interest-based negotiation rather than threats or power. A strong peace chest promotes harmony, encourages self-empowerment, and provides for healing,” adds Grossman. reduce the conflict typically associated with the divorce process. 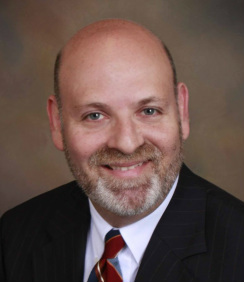 Grossman handles marriage and family law cases involving divorce, child support, alimony, paternity, adoption, prenuptial agreements, parenting plans and time sharing. In the area of employment law and mediation, his services include human resources consulting, skills training workshops, facilitation for consensus building, and conflict management design and preventative practices.